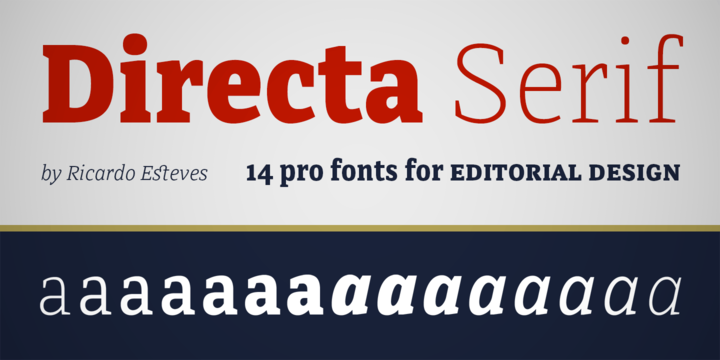 Directa Serif is a beautiful text type family. This is engineered to save on space facilitating maximum redability. The general forms and proportions makes the font a perfect fit for fonts to be used in smaller sizes as compared to the body text. The strikingly beautiful font is highly recommended for magazines, newspapers, magazines, etc.